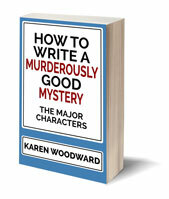 Karen Woodward: Penquin's Purchase Of Author Solutions: Going To The Dark Side? Penquin's Purchase Of Author Solutions: Going To The Dark Side? When I was a child, I dreamt of becoming an author and being published by Penguin. (Yes, I was an odd child, but that's a post for another day!) 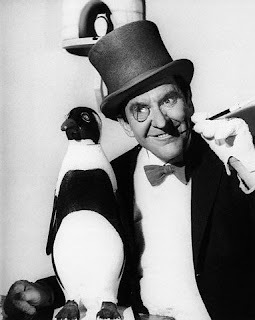 Even after I was stripped of my illusions about the publishing industry the name "Penguin" stood out for me as the mark of something special. David gives examples a-plenty to back up his claims. 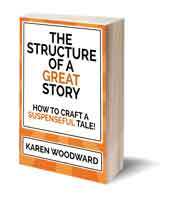 Author Solutions is well known on sites like Writer Beware and Predators and Editors. The news that Penguin purchased the company astonishes me. I can only hope that Penguin discontinues Author Solutions' bad business practices and works with authors instead of preying on them. Yep, this one's sketchy. But it doesn't surprise me all that much. Certain publishing houses have made it very clear in the last few years that nothing exists beyond the bottom line. That's what happens to corporations, for better or worse. In an art related business I'd say it's for the worse, but in their opinion this is clearly a great way to make (more) truckloads of money. It was Ballantine Books for me, by the way. That was the name on the cover of all of my Tolkien books... but now I know that he was probably originally published by some English company I've never even heard of. Yea, learning about the underbelly of the publishing industry isn't fun. I was shocked and saddened when I learnt Pearson purchased Author Solutions--perhaps I shouldn't have been--but what has really shaken me is learning how Harlequin was ripping off its authors, and in an economy that was much less desperate than this one.